The BESA party calls on the Government to reverse recent hirings of close relative of Government officials to positions in the public administration or well to do public companies. BESA’s reaction comes after it was revealed that Culture Minister Asaf Ademi had his sister hired at the ELEM public energy producing company. Ademi is part of a BESA splinter group which joined the Government. We see that the current Government is operating much like the previous regime and is hiring family members of ministers, members of Parliament and other Government officials. 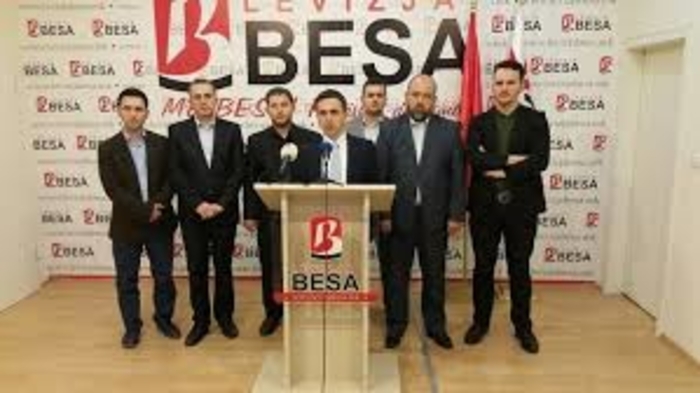 BESA rejects these cases of nepotism and corruption which are unbecoming for a country with a reserved spot in NATO, a country which must work on rooting out crime and corruption, BESA said in a press release. The long list of Government officials who hired relatives to high offices as of recently includes the brother in law of Parliament Speaker Talat Xhaferi, who was appointed to the Anti-Corruption Commission – a body which should in theory investigate and point out just such cases of nepotism. His DUI party has long enjoyed a privileged position and was immune to investigations of crime and corruption, given its position as king-maker during all Government negotiations, allowing Xhaferi to also hire his daughter in the ELEM company, while his fellow party official Nevzat Bejta got his daughter hired in the MEPSO energy transportation company, the destination of choice for the sister of Economy Minister Kreshnik Bekteshi and the son of former Prime Minister Vlado Buckovski.